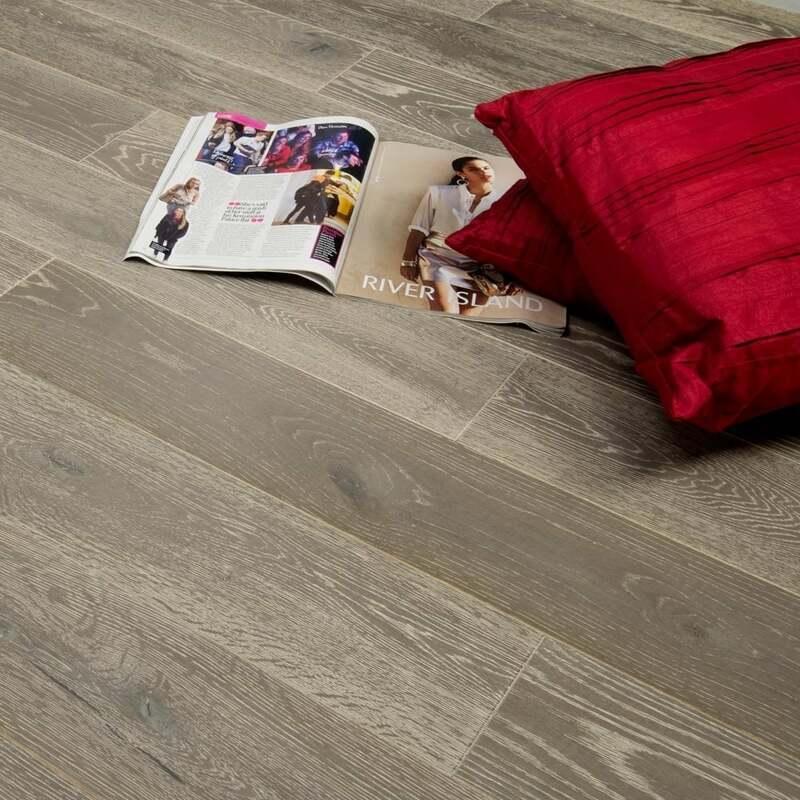 Timeless 18/5mm x 150mm Oak Smoked Grey Brushed and Lacquered is 18mm thick with a 5mm solid oak top layer that may be sanded and resealed up to 3 times during the lifespan of the product. A floor with the popular brushed finish is when the planks have been brushed with a steel comb to highlight the grain of the wood resulting in an authentic textured appearance. The Lacquer not only aids in helping prevent moisture damage, but helps to protect from UV discolouration. It also gives the floor a subtle stylish sheen to make even more of a visceral impact. Request a FREE sample to see the quality for yourself!